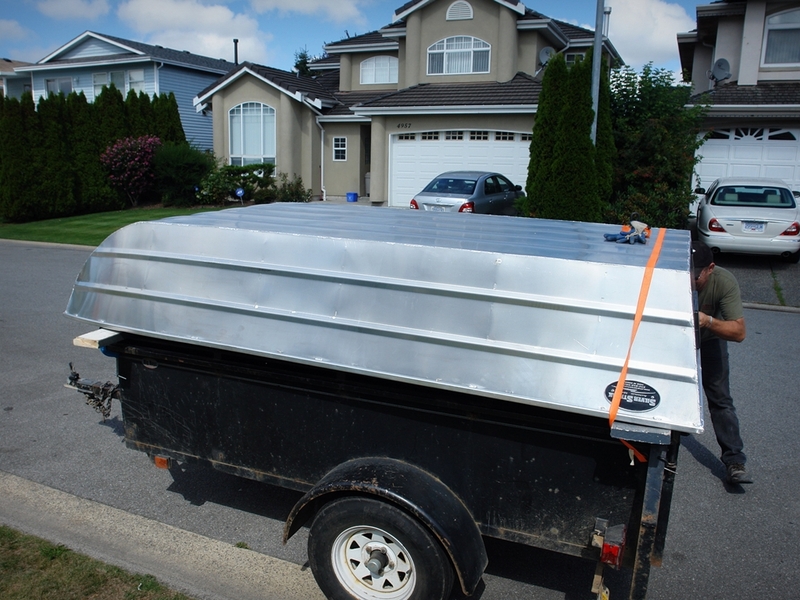 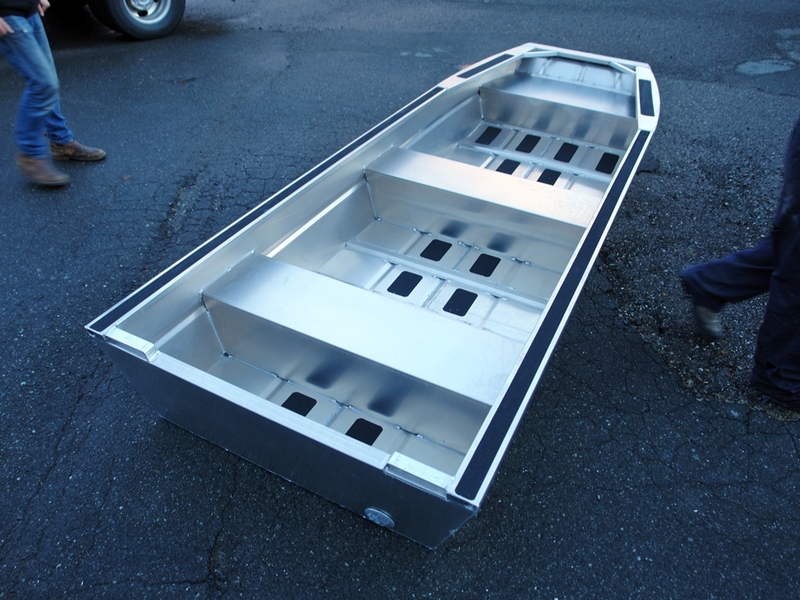 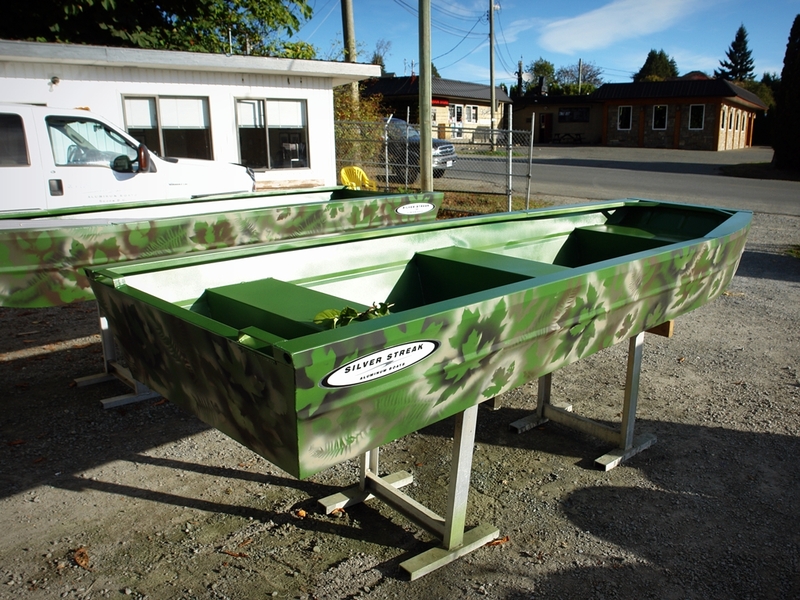 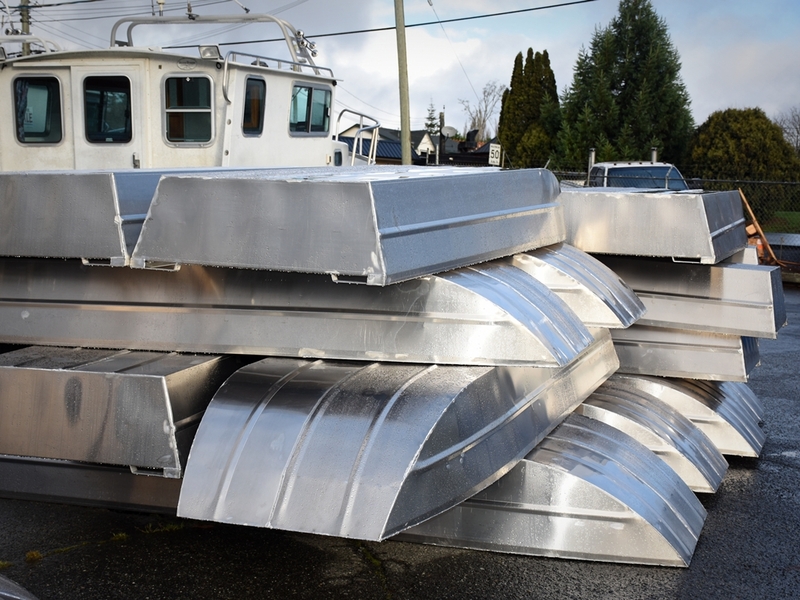 12' Duck Boat - Aluminum Boat by Silver Streak Aluminum Boats. 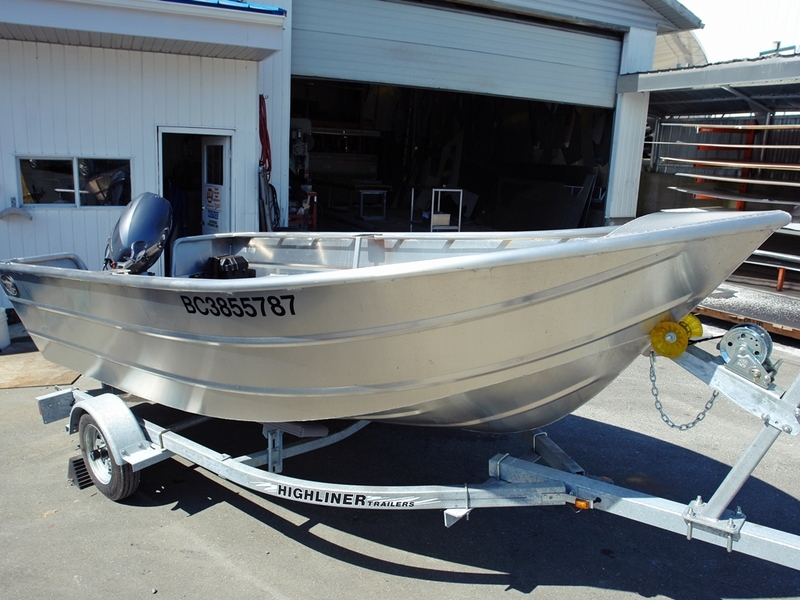 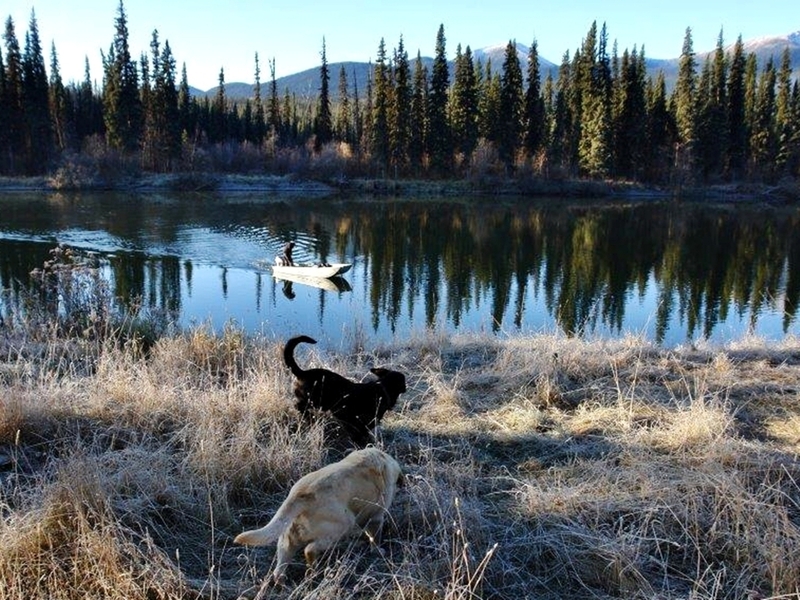 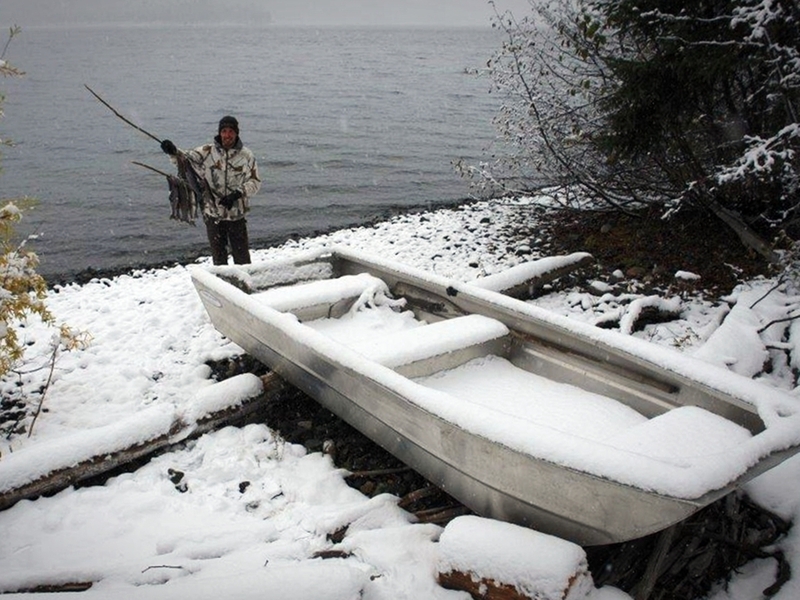 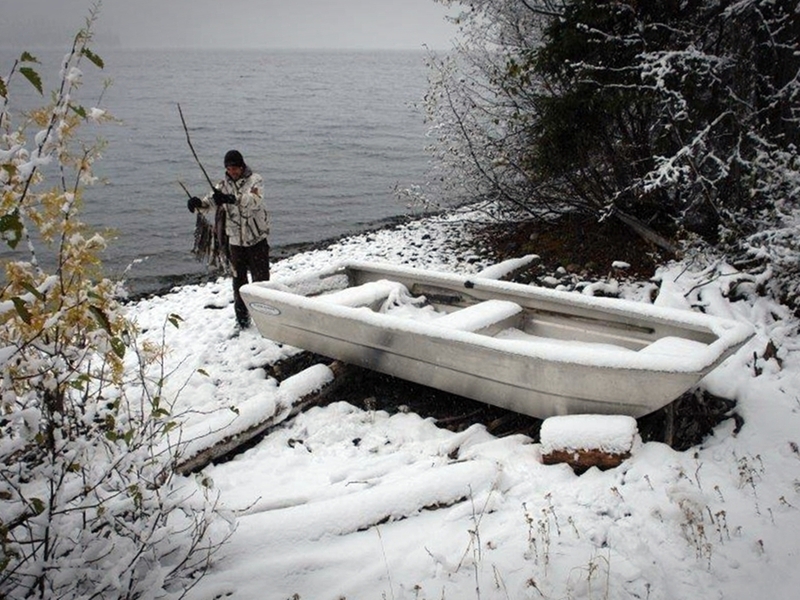 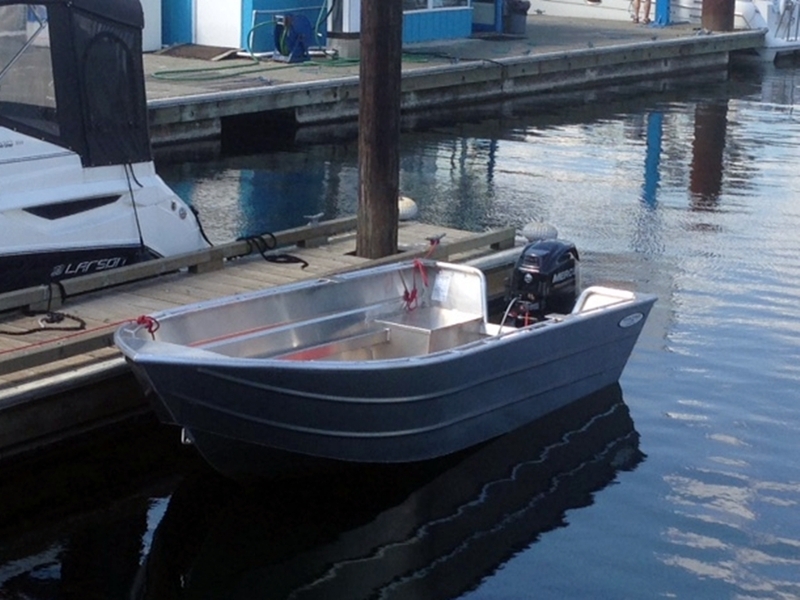 This is a perfect little fishing boat for shallow water. 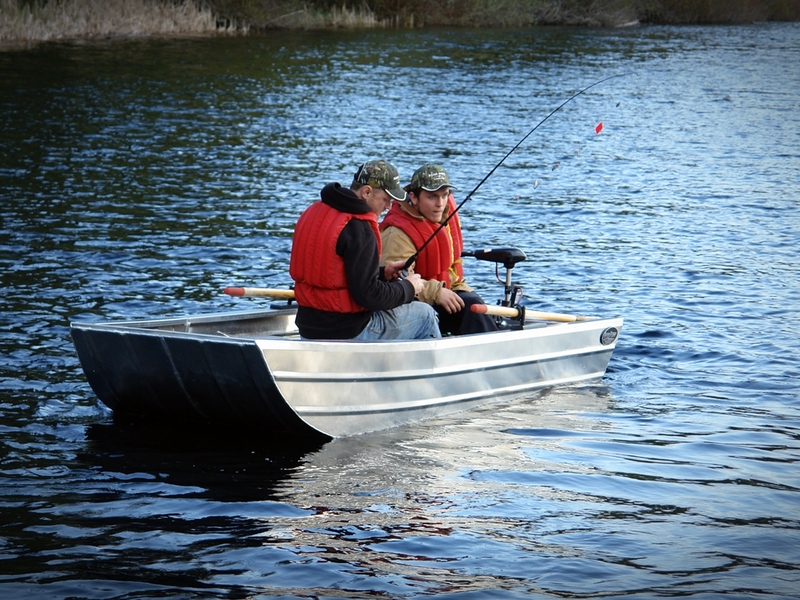 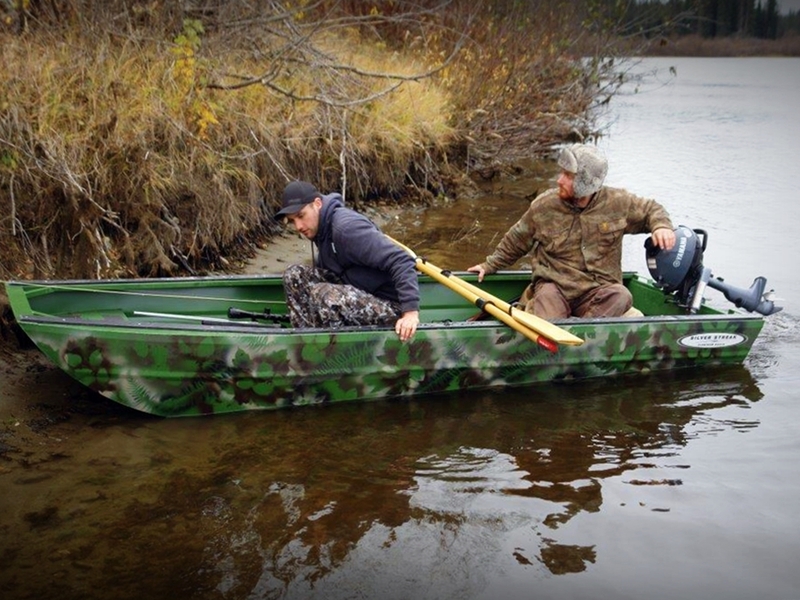 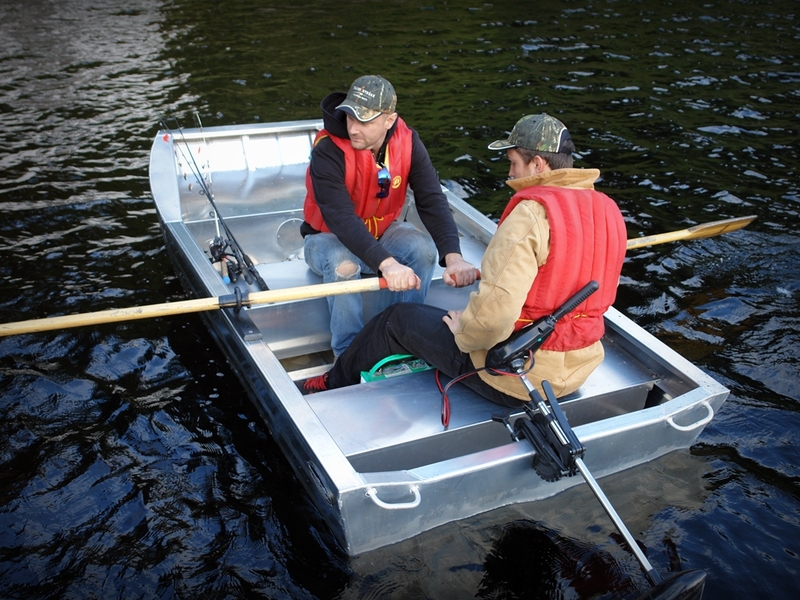 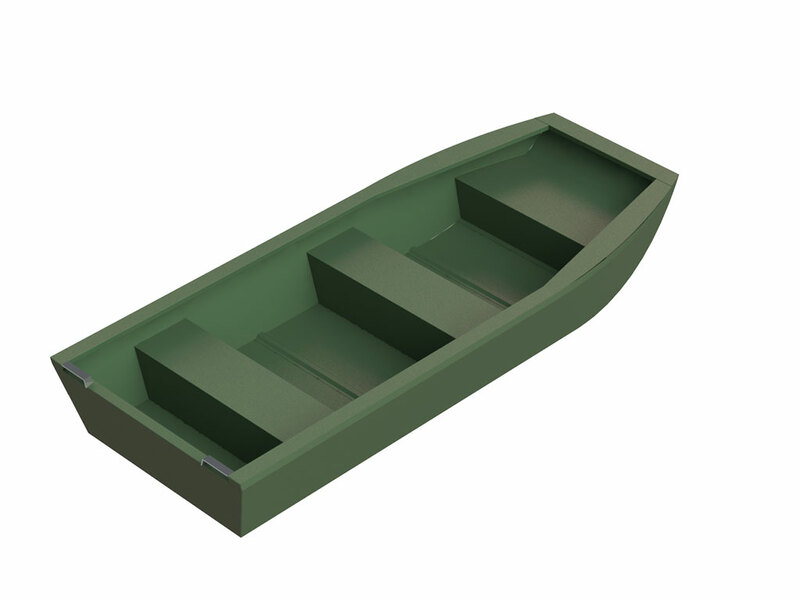 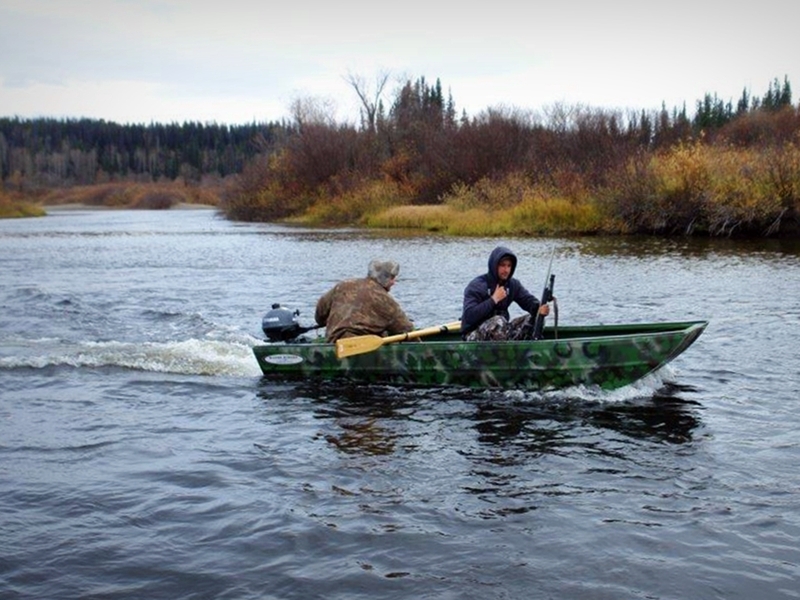 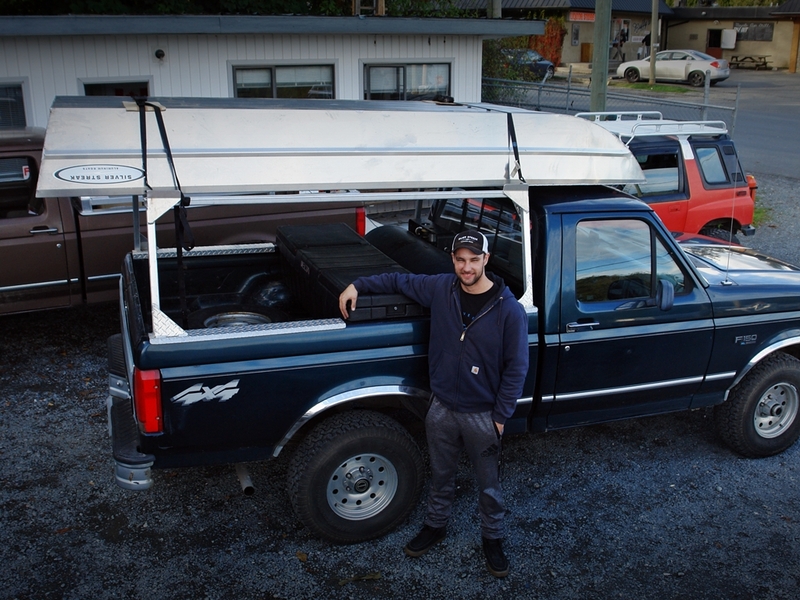 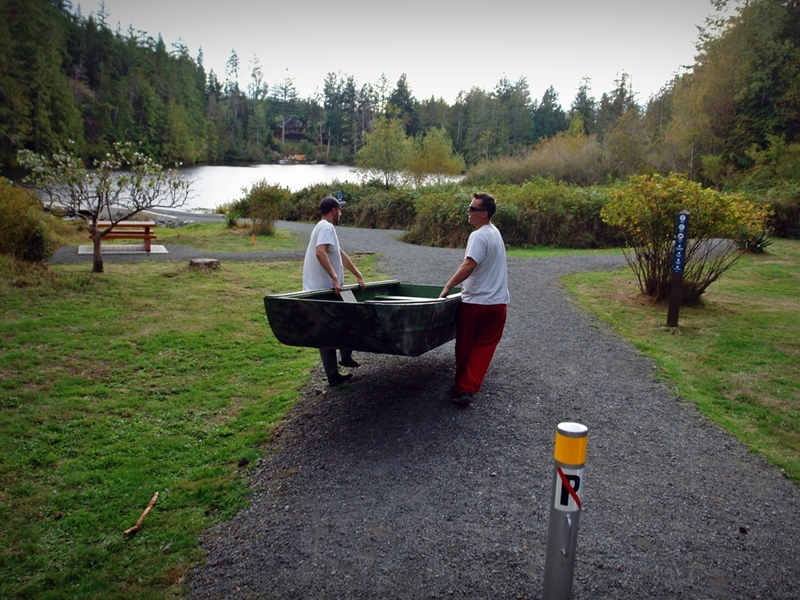 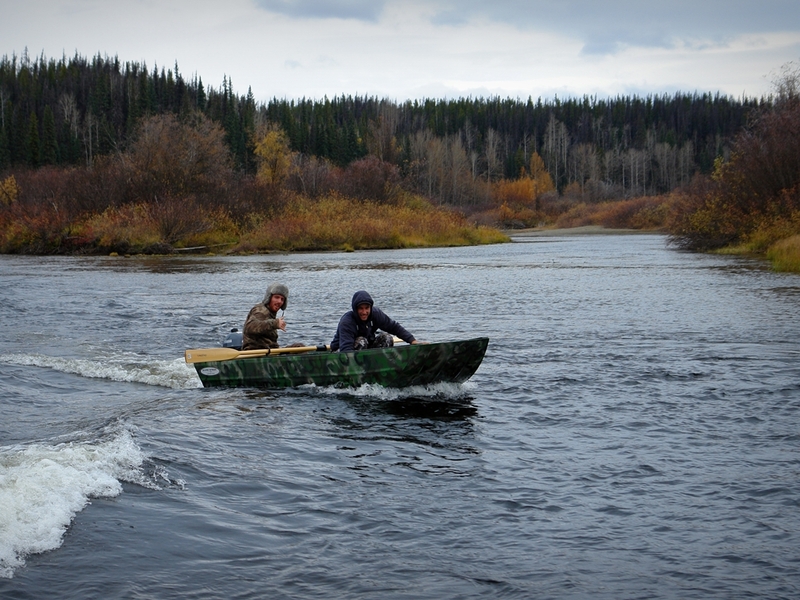 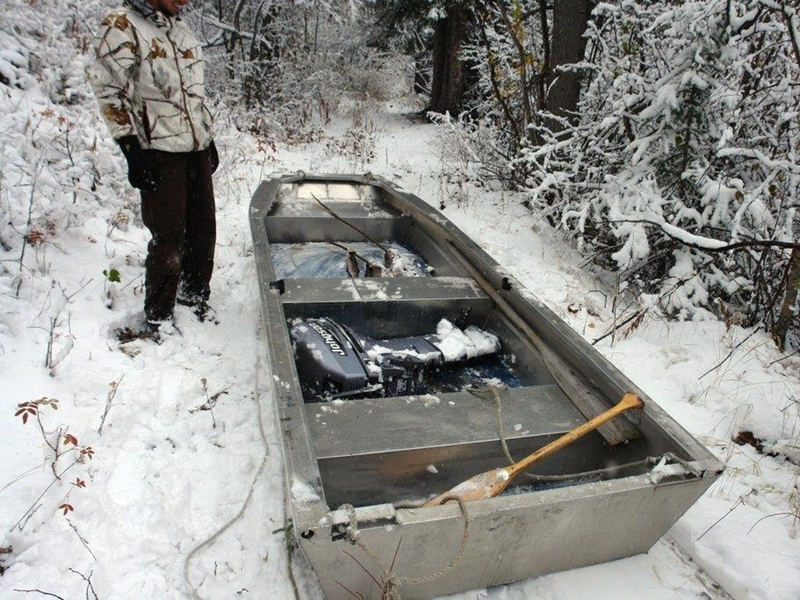 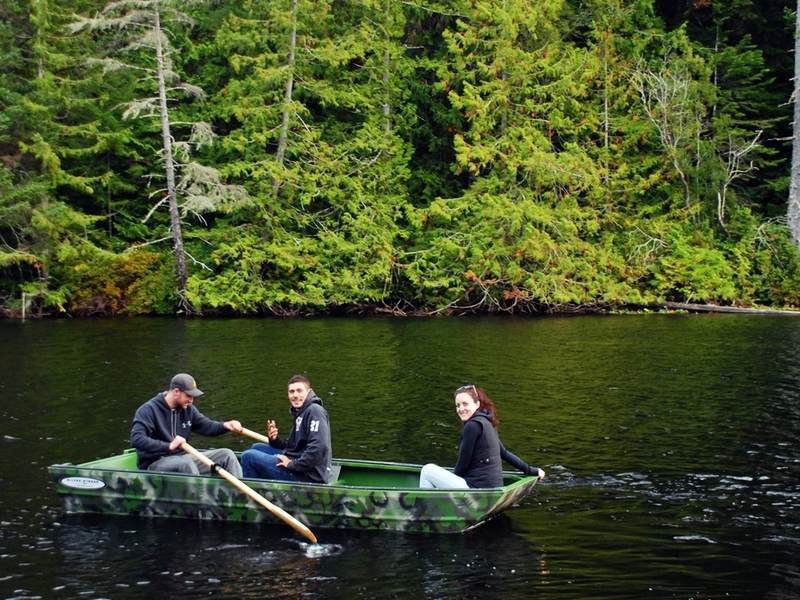 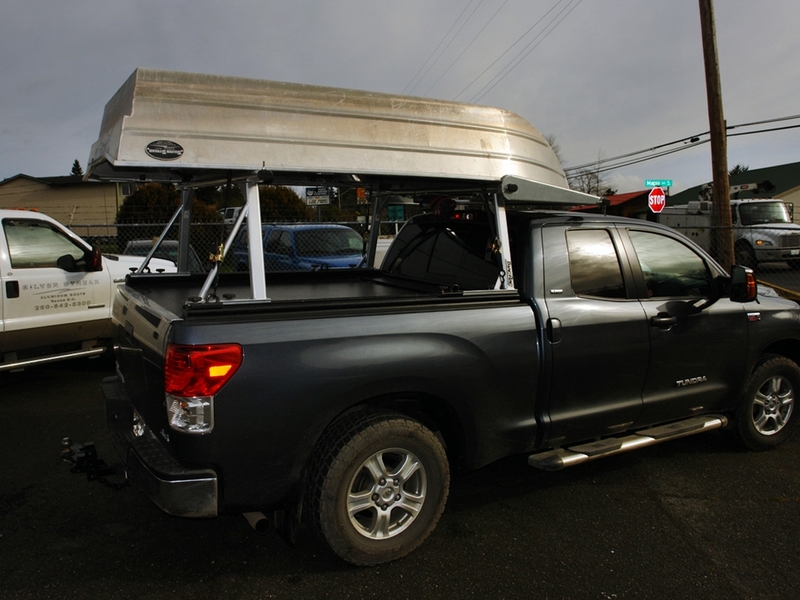 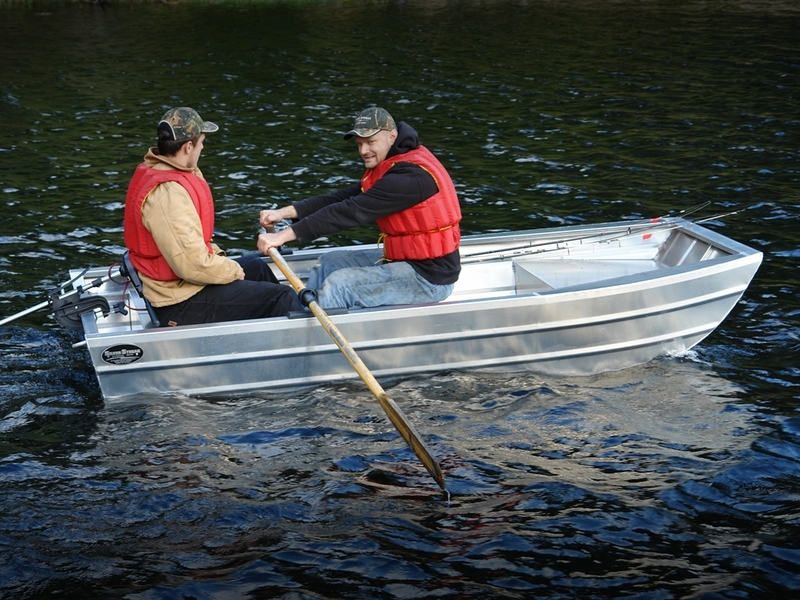 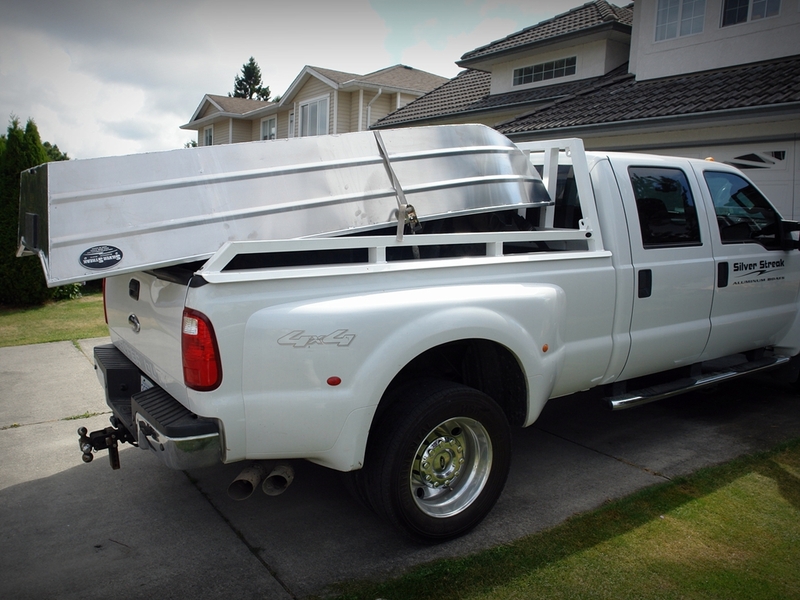 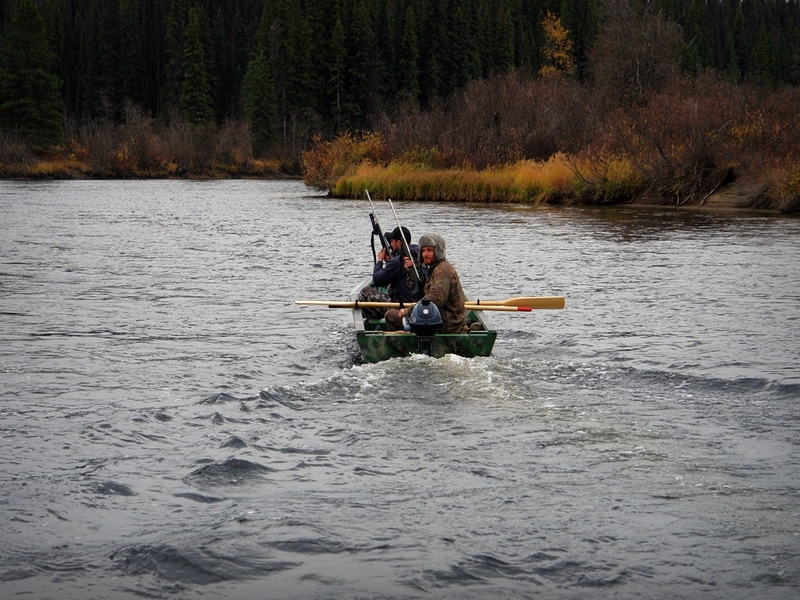 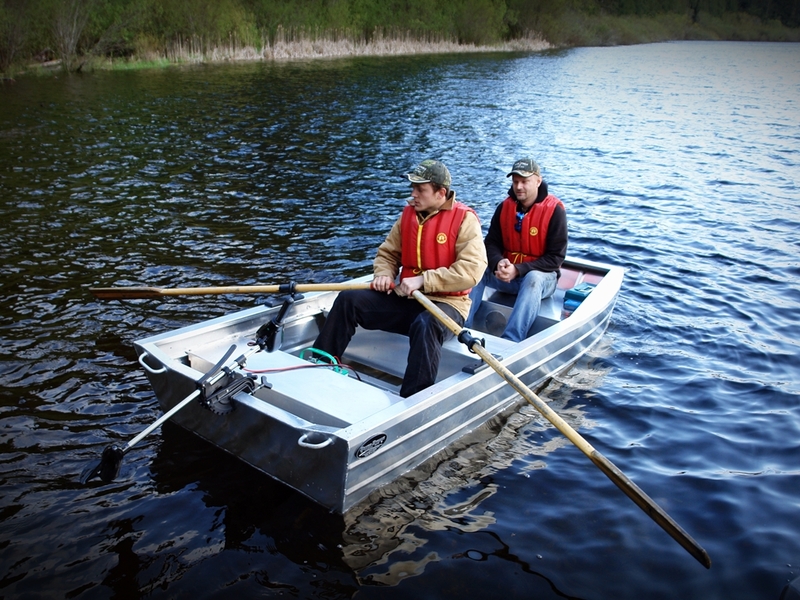 The light weight Duck Boat can be easily carried between water and vehicle, and fits in any standard-sized truck. 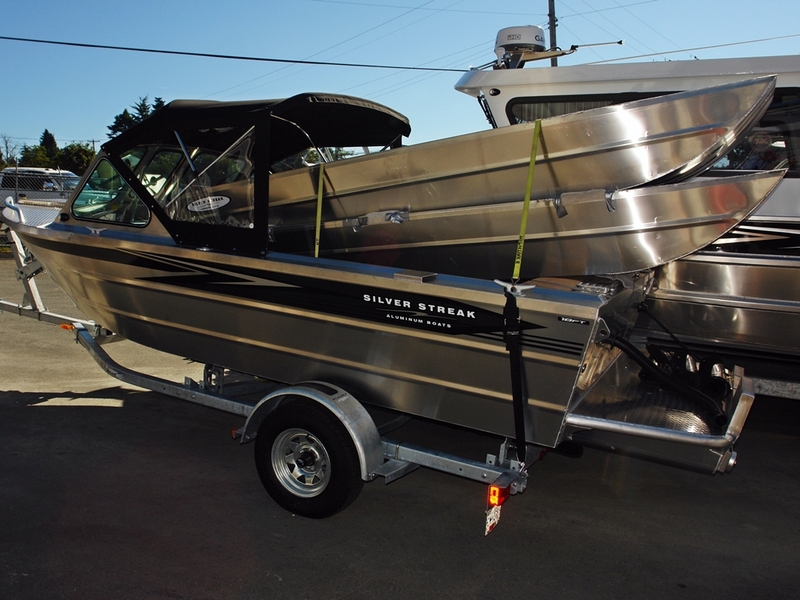 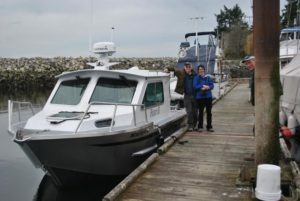 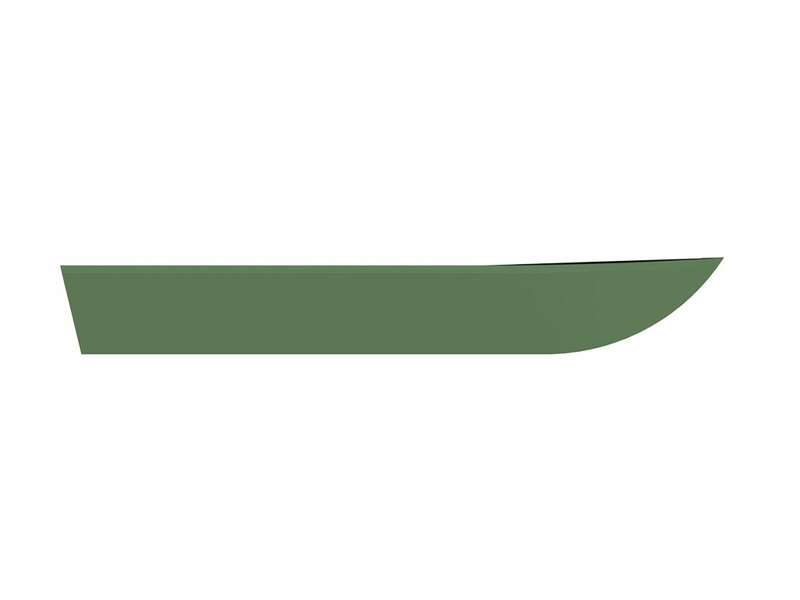 A tall side height and 4'-0" beam allow a person to stand up and cast securely, while an all welded aluminum 2-piece hull and epoxy coating makes it both sleek and durable.